A place where plants are grown commercially, either for sale direct to the public or to other retailers. OR; an area where we grow and nurse young progeny (an offspring of a person, animal, or plant) of plants is called Nursery. Nurseries are used for artificial plantation. We raise nurseries in those areas where natural regeneration is low or slow. Nurseries are raised to get plants of the right size at right time. Nurseries are raised to get such plants which are good in health. Nurseries are raised to get plants of the desired spp. Establishment of a nursery is important for the following reasons. 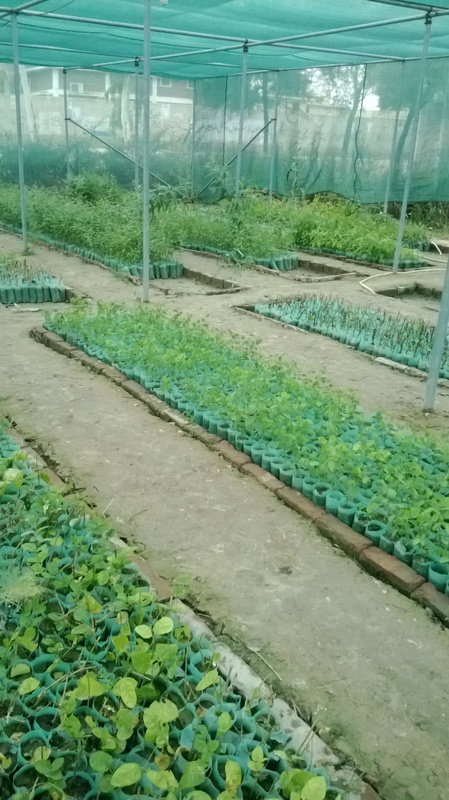 Production of proposed size and age of seedlings. Production of the desired number of seedlings. Production of healthy plants of the desired spp. Production of plants of superior quality. Production of desired plants at right time. Production of seedlings at a cheaper cost. Those nurseries which are made for the time being ie for one or two years are called temporary nurseries eg Shisham nurseries at Changa Manga. These nurseries are usually made in felling coups so that after felling, regeneration can be done easily or in those areas where afforestation work is needed. Soil for these nurseries should be fertile because we do not give fertilizers to these nurseries. These nurseries are raised along roadside and canal side plantations. Temporary nurseries are at the time called flying nurseries ie these can be shifted to any site. Such nurseries should be centrally located so that distribution of plants may be easy. It should be near headquartered so that it should be protected and supervised during work. These nurseries should be manure and fertilized from time to time. Permanent and skilled labor is required. Image: A Permanent Forest Nursery at Dera Murad Jamali Naseerabad Balochistan. | April 3, 2015 | Captured by Author.